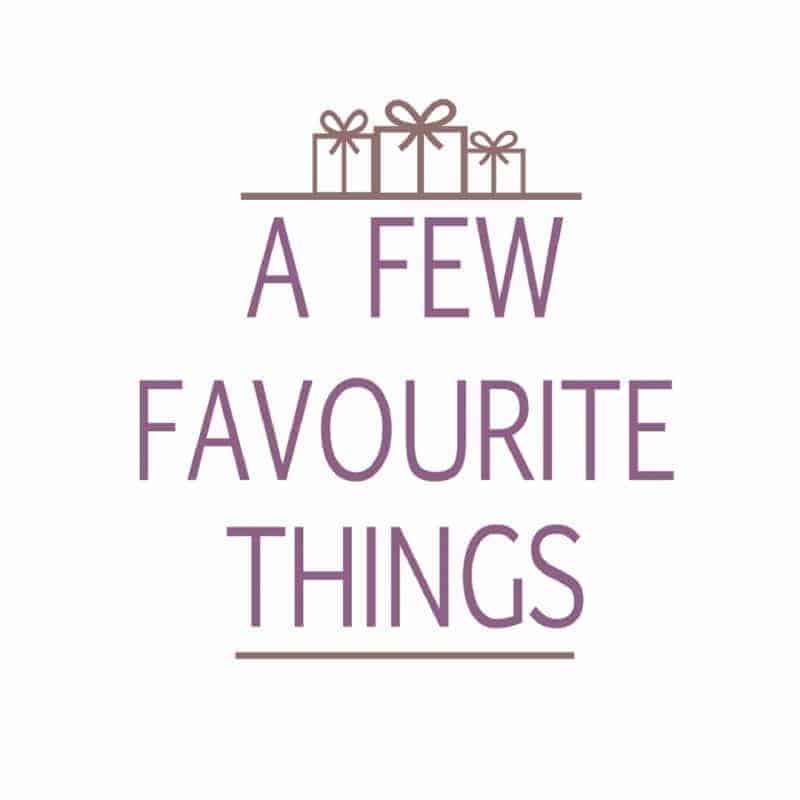 Mother’s Day is fast approaching and thoughts to what I’d like to purchase for my own Mum as well as what I’d like to receive on Mother’s Day is whizzing through my head. I’ve already sent my mum the usual ‘It’s Mother’s Day coming up is there anything you’d like?‘ text message. To save her replying with ‘oh anything‘ I have taken to adding ‘They are sold out of anything’s or whatever’s, so you’ll actually have to suggest something‘ to the end of my message as she is terrible for never suggesting anything. This year she has asked for a watch and this is something that Roo especially has had hand in choosing as she is getting older and wanting to get involved in key dates around the year. 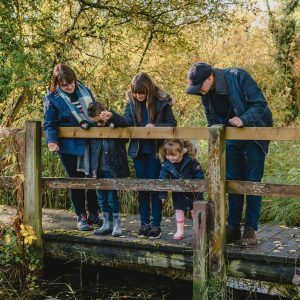 I’ve always loved the idea of having family rules, a little guide to help us remember as a family how we should treat each other, behave and aim for. Whilst I have previously looked at ones that you stick to the wall we don’t really have the right place to showcase something like this in our home (especially with renovation plans for the ground floor of our home). 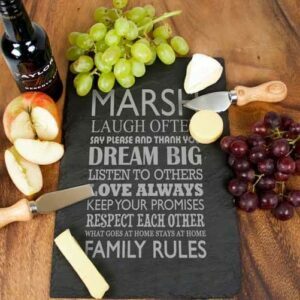 When I saw this personalised large family rules slate board I loved it. It ties in with our slate placemats that we have on our dining table and I loved that I could use it in a variety of ways. Maybe propping it up on the sideboard so that we can look at it whilst we eat our meals, as a chopping board so that I can be reminded of our family rules as I prepare meals or as large serving mat on our table when we get together to enjoy a family meal. We all like to think that to our children we are the best Mummy in the world, mind you it might depend on which day you catch my children as to whether I’m the best or the worst. 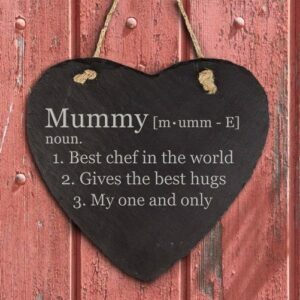 I don’t usually go for the cheesy Mother’s Day gifts like the best Mum in the world mugs etc but this personalised definition of mummy heart hanging slate keepsake really caught my eye. 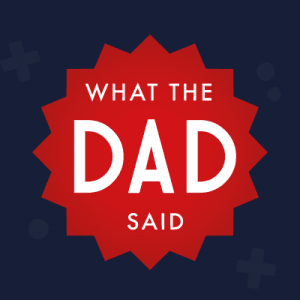 I loved that you can personalise each line so whether you opt to have Mum, Mummy, Granny or even a name alongside three fabulous things about them. I’d hope that mind would include gives the best hugs. I have to hold my hands up and confess that I am not very green fingered. In many ways I was pleased when we moved into our house and there was no lawn to mow or flowerbeds to attend. Since having children I feel this is a skill that I need to learn and what better way to do it than a family competition on who can keep the best flower pot. 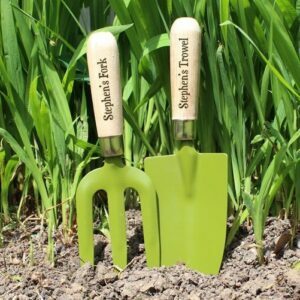 I’m sure that these personalised trowel and fork set would aid me in my quest to become more green fingered and hopefully win our little family gardening competition. What are you hoping to get this Mother’s Day? 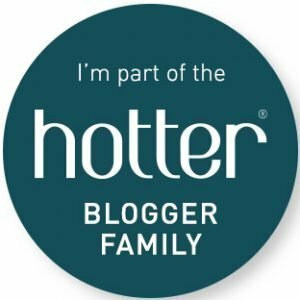 Disclosure: I received a Personalised Large Family Rules Slate Board FOC for the purpose of review.